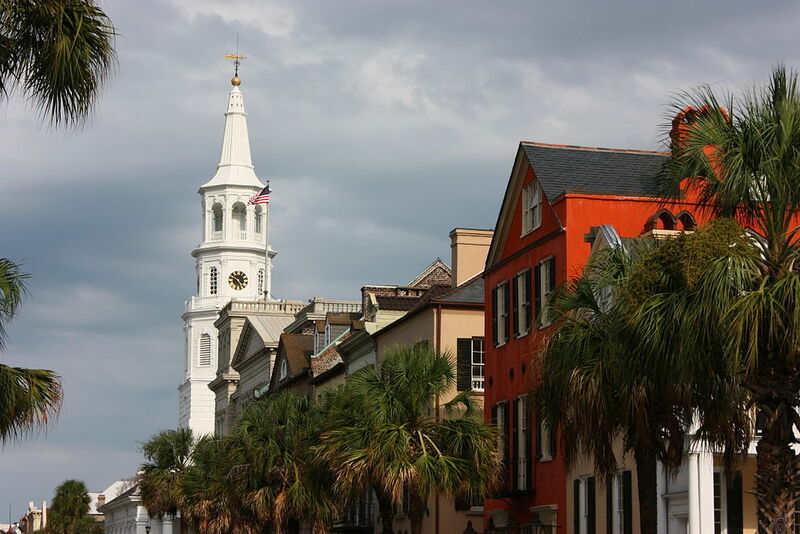 The NGCOA is headquartered in Charleston, South Carolina, where tourism is off the charts. Over the past few years, it’s won about every award imaginable, including top U.S. city to visit by Travel + Leisure. Southern hospitality reigns supreme here. The success of Charleston is due in no small part to the intentionality with which the entire city approaches hospitality and service. For many years, the local CVB has conducted city-wide customer service training for all the frontline employees at hotels, restaurants, tour companies and attractions. Most hotel chains and independent businesses with healthy budgets likely have their own customer service training programs, but I’m convinced this sharp, city-wide focus to be the absolute best at taking care of visitors has caused Charleston to leapfrog so many other destinations around the country. How does this apply to golf? We in the industry need to focus more time and attention on customer retention strategies and tactics—doing what we can to close the back door. I’m convinced that if the industry became intentional about upping its hospitality and service game, we’d stand a good chance at staving off the attrition we’ve been experiencing. Having previously overseen a portfolio of some of the nation’s best boutique lodging properties, where we had a 250-point inspection of each property and the guest experience, I became intimately familiar with hospitality from the booking experience all the way through check-out and follow up. One disadvantage of being a small, independent property—not associated with a chain or conglomerate—is the lack of formal service training available to frontline employees. In golf, the management companies, as well as resorts and clubs with big budgets, likely have their own training programs. But most of golf is played, and subsequently lost, at businesses that aren’t tapped into a customer service training system. Through research and anecdote, we know the relatively unwelcoming culture in golf (real or perceived) is what keeps people away. And that’s something I want to examine closely for remedy. We know the key to future success and profitability won’t be in finding ways to cut more costs. It’ll be about stimulating more rounds and revenue out of the players coming through our front doors. Getting patrons coming back more frequently than they are today. Doing this will require changes in behavior at the front-line, customer level. We have customers on property for one to five hours, or more, which tells me there are ample opportunities to give good service. We need to get intentional about exploiting this captive time with our customers to deliver amazing service. But I’m not sure most course operators think they need ongoing customer service training, and that’s what I’m worried about. What do you think? Will getting intentional about better hospitality and customer service be the key to long-term success? After all, for many people, it’s not just about getting the little white ball in the hole. But how? How do we deliver training to the frontline people at independent facilities around the nation? I think many golf clubs are forgetting that they are a service provider and customer experience is their bread and butter. We have to use a magnifying glass to find such golf clubs that are measuring customer satisfaction. In such markets like the golf course industry where potential buyers have a greater tendency to ask friends or acquaintances for advice before deciding about a purchase, Net Promoter Score can be a useful tool. However, I must say that golfers are not leaving a golf club just because of a single problematic event. Churn results from series of events. This is why we should focus on the entire customer journey. For more: http://www.golfbusinessmonitor.com/golf-club-marketing/2014/10/connection-between-net-promoter-score-and-golf-club-membership-retention.html. Great piece, and spot on. I have been to Charleston a couple of times and marvel at what I call the “genteel South” hospitality. Roger Warren at Kiawah has this down to a science – how about him as a speaker at the next business conference? My former colleague Stuart Lindsay of Pellucid asked several years ago, “Why do we pay the least to the people who are frontline with our customers every day?” Years ago, when I was selling GPS systems, we installed one at Talega GC in San Clemente, CA. It was managed by the Heritage Golf Group. On the first tee, located a bit downhill from the clubhouse, was a covered station with fresh fruit and water. A very friendly starter offered the concessions free of charge, and went on to welcome and introduce players to the course and the GPS system. Impressive service – and I still remember it 17 years later! Most golfers never go back into the golf shop after their round, and some go right to their cars to drive home, losing all possibilities of post-round contact. I’ve suggested to clients, (and no one has taken me up on this yet), that, at least on weekends, a staff person should be stationed at the 18th green to greet golfers as they come off the course. The staff person should be equipped with an iPad connected via WiFi to the course tee sheet, and greet golfers with something like, “I hope you had a great time playing our course today. Can I reserve your next tee time for you?” It wouldn’t take many to say “yes” to justify the expense of the endeavor. The same thing can be done in the bar and restaurant. An iPad+Wifi = better service. Our PoS technology systems should enable golf shop staff to easily recognize a returning customer. They should be lit up with a unique color on the tee sheet, so when the customer walks in he can be recognized and acknowledged by name. Maybe the system can cue staff that this customer is back for the third, or fifth, or tenth time and is given a little gift as a thank you. The taqueria where i pick up food does it! It is 2017. Are we ready to make changes yet? Why not charge at the end of the round? In addition to booking the next tee time as Harvey suggests, you could also congratulate golfers on their best shots, identify issues immediately, polish clubs, update loyalty card, and provide coupon for the grille. No need to hurry as the next group isn’t coming along for 10 minutes. People pay for a great experience. Last time I checked, most hospitality operations (restaurants, hotels, etc.) bill you on exit. Maybe it’s time to turn the game upside down! P.S. A restaurant owner many years ago told me to eat the small part of my T-bone last. I asked why and he told me that it’s the part nearest to the filet. The last part of the client experience at our clubs should be our best. 10 years ago there was a National Golf Management program (I may have the wrong name) hosted at Ogelbay each year. We sent all of our managers; the program became outdated and then ended. Fore! Reservations held a “user conference” where they discussed a lot of issues other than just their software. We sent our managers to that as well, now that has ended. Maybe the NGCOA could offer a week long program for front line managers/employees. The national show is great but we need something for front line managers/employees. I was looking for the article that would explain me some things as for the questions I have according to my topic.